Click here for the latest meta! This page is a snapshot of the current Clash Royale metagame. It's an up to date view on what meta decks the top players from the top 20 clans (almost 1000 players!) are using right now. By looking at the top Clash Royale players' deck, we can get some insight on what meta decks might be the best positioned deck at any given time, taking card level out of the equation (since players in this range will almost always have their decks maxed out). Make sure you keep this in mind when trying to use these decks on ladder, as lower card levels may severely affect a deck's performance. If you want to brew a deck, this list can also help you figure out what decks you should try to counter. The meta decks in Clash Royale are constantly shifting around to gain some advantage over each other. As balance changes are made and new cards are introduced, you need a way to stay on top of the latest meta in 2018. Knowing what strong decks are out there now will let you make a good decision on what deck to play on ladder and in challenges. If you're not sure what deck is best for you, take a look at what the top players are using today. It should give you a good idea of what you're likely to face, which can help you to pick a new deck or tweak your own list to win more games. You'll also see the changes that top players are making to their Clash Royale decks to beat the current meta. We really hope to help everyone using our site to win more games of Clash Royale, but if nothing else, it's a great resource to understand what's going on in the meta Clash Royale 2018, and to find some fun new decks to try. Whether you like control, beatdown or siege, whether you play giant decks, golem decks, lavaloon decks, dark prince decks, 3 musketeers decks, P.E.K.K.A. 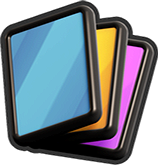 decks, x-bow decks, mortar decks, log bait decks, miner decks, graveyard decks, or bridge spam decks, the latest build for your deck is here. Follow your deck in the current 2018 meta Clash Royale and see how it evolves! We love Clash Royale and we're all about winning games. This site is meant to provide an easy to read display of the current metagame as well as give strategy advice and tips to help you win more Clash Royale matches. Copyright © 2019 ClashRoyaleMeta. All rights reserved.